We took over this project at the eleventh hour and had to deliver a finished website before the 2018 Leicester Comedy Festival began. When we started work we had some raw interview footage, a logo a domain name and the beginnings of a website on Wix. We took the logo and closed the Wix site as soon as possible, opening a new account with Siteground so that the site would be reasonably fast amongst other reasons. 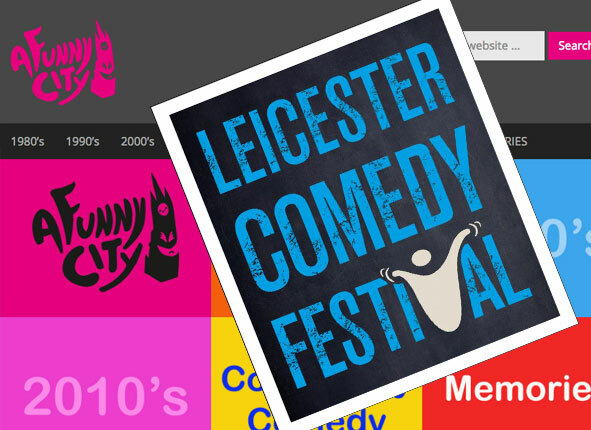 Our job wasn’t to design the website but to facilitate the project participant’s in producing a professional archive of the Leicester Comedy Festival. They had to find and identify video footage, promotional posters, interviews and audio material. This then needed to be digitised and made into acceptable formats for the website. We also showed them how to build a WordPress custom theme for the website, using the colour of the logo and a grid based navigation system for the front page. The project was managed by Liz Soden and the accompanying exhibition and launch were handled by Soft Touch Arts. Needless to say, everything was delivered on time to a very high standard against difficult circumstances.